“How do you do it?” It is a question that I am asked often by friends who are boggled by all the moving and starting over. Moving is the military mantra. And because of this, friendships come and go at a high rate. Making and finding new friends is just something I have to do. Without taking the step of finding new friends life gets pretty lonely fast. Friends are such an important part of this motherhood journey. We simply cannot do it alone. It really does take a village, but what happens when your husband has a job that moves you around the country at a regular interval and you have to keep finding your village. Finding new friends. And in a way finding yourself, over and over again. You finally have everything figured out and know who to put on that emergency form that the school sends home. Your life has become fairly comfortable and easy. You can at least get to all important places for your week without a GPS. You even have a list of people or at least one person you can rely on for emergencies or other unexpected life events. And then it is time to move again and you are back to what feels like square one. I am one of those people who need to find my village every couple of years. My husband is serving in the United States Air Force and this is the third place we have lived in his 10-year career. And we are actually pretty lucky, because 3 moves in 10-years is on the smaller end of moves. But it doesn’t change the fact that we have had to uproot our lives and move across the country and start over 3 times. Each time has been a different life stage and a new adventure. Each time having their own heartache, challenges and joys. There are so many good and bad parts about this thing we call military life, but the one thing I think that has made this whole adventure worthwhile is the friendships we have made. Looking back on the good times is the thing that makes it a little easier to say goodbye and start again knowing there are still more people to meet and if we are lucky friends to reconnect with at our new assignment. There are more connections to be made. It has never not been worth it, even with those lonely winters in Ohio. For some friends we say, “See you later” (because the military doesn’t like to say goodbye) and our paths will never cross again. Others we will see on occasion because social media makes it easier to stay connected, but the daily interaction fades with time and space. But with others you said goodbye and the only thing that is missing are the play dates and occasional girl time meetups. The fact that you are now across the country doesn’t stop the frequent texts and if something really is going wrong, the panicked phone call. They are the person who understands from the beginning that military moms don’t have time to skim the surface, be embarrassed or put the friendship on the back burner. Because they are willing to go deep and go there fast. And they love you even though they know you will be gone in a few years! That is pure magic and sometimes you get lucky and find that friend at the beginning and not the end of the cycle! They are still your person. The person who you want to tell “in person” not over social media that you are having a baby. And it is a boy. They are with you through life’s ups and downs. The person you can confide in when you are having a really bad day. They celebrate with you when your kid finally sleeps through the night. The person who is your biggest fan when you tell them about your next adventure or crazy idea. They get you now. The real you. There is not anything hidden or off limits. They know you so well sometimes they can even figure out what is wrong without the words actually explaining it. They are there to listen. And give advice to help you get through life. 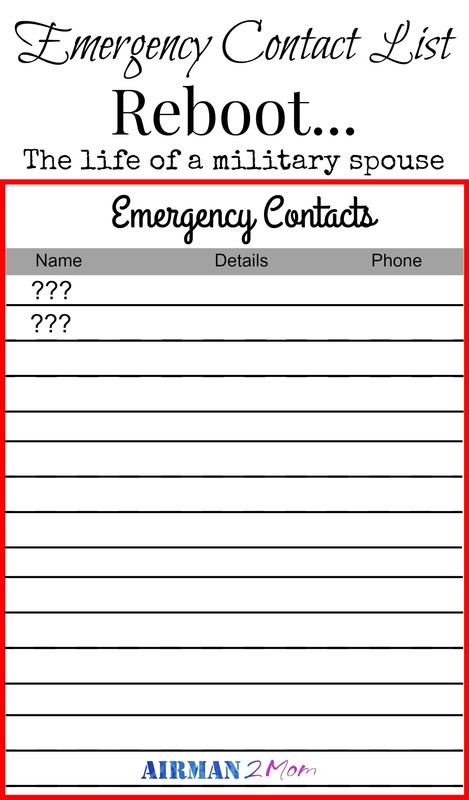 Maybe you can’t put them on your emergency contact sheet because hundreds or thousands of miles separate you. And even though time zones sometimes make actual conversations difficult. It doesn’t change the important role they play in your life. Life may have pulled you apart, but you are still connected. So, when I’m asked, “How do you do it?” my answer is simple…with God’s grace, special friends all over the country and I just do. I can’t afford not to. Making friends is a talent, especially when you are uprooted so frequently! I’ve lived here almost my whole life and barely have local friends lol. I think it is a little bit of talent and a lot of luck. Finding the right group of ladies isn’t an easy thing to do and being brave enough to be honest is really scary. My friends do that so regularly it amazes and inspires me. I know it is an amazing gift. I always find your blogs interesting. A life I will never be able to relate to is that of a military person. Even so, I’m happy you read. Then you will know a little bit more about the military life we live. Maybe on our next pcs we will be able to see you in person. Congrats on your beautiful article being considered at MOPS! We were not a military family, but yet because of ministry options, and the nudgings of God, we have moved a lot over our almost 40 years of marriage. And I have found your advice to be so true! God’s Grace and special friends all over the country kept us going when it felt too hard to move again! Thank you for sweet reminders. You will be in my prayers as you follow the Lord in your life of movement with the military! It was such an honor to be considered. I love how you can relate even though you are not a military family, but still had to move. I know that there are so many people who don’t live the military life that have to move because of jobs and other life situations. A lot of my civilian friends are actually jealous of all the military spouse friends that I have. It’s hard to make friend as an adult, but I feel like wherever I PCS, I already have “insta-friends” as I call it. We’ve had 6 duty stations in under 8 years of marriage and the only place I didnt already know some MilSpouse friends was our first PCS to Korea!